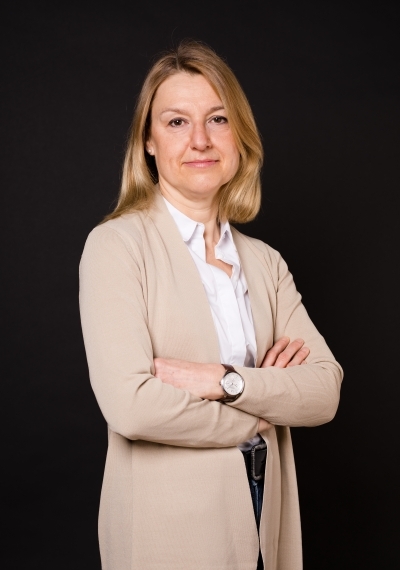 Head of International Communication Section, Polish Society of International Relations (PTSM). Member of the editorial board "Communications, The European Journal of Communication Research" (5-year IMPACT FACTOR: 1.147). Member of the Scientific Board of Poland's Public Relations Professionals Congress. MA in Political Science (1987), PhD in Political Science (1991), examination to qualify as assistant professor in International Relations (Habilitation) in 1998. Full professorship in International Relations (2003). since 1986 at the University of Wroclaw. 1999-2003 Professor at Lower Silesian High School for Education, Institute for International Relations. 2002-2004 chair in Political Science at Willy – Brandt – Center for German and European Studies, University of Wroclaw, Poland. Head of the Department of International Relations, University of Wroclaw, 2009-2011. Vice Dean for Research and International Co-operation of the Social Sciences Faculty, University of Wroclaw 2005-2008. 2017 (02-09:) Head of the Section of Communication and Public Relations at Journalism, Information and Book Science Faculty, University of Warsaw. 2002-2017: founder and head of the Section for International Communication, Institute of International Studies, Univertsity of Wroclaw. In 2018 visiting professor (teaching) at Jagiellonian University, Krakow, Institute of Journalism, Media and Communication. Research Visiting Fellow at ZEMKI, University of Bremen (October- November 2018). Scholarships and grants of Friedrich Ebert Foundation, DAAD, British Council, Open Society Institute Prague Research Support Scheme, Austrian Government, Polish Foundation for Science. Author or editor of some 14 books and monographs, about 90 articles and book chapters in international, Polish, Dutch, German and Hungarian journals. Most recent books: "Poland′s New Ways of Public Diplomacy", Peter Lang: Frankfurt am Main, 2017, “Who is Television for? Public Service Broadcaster Model in Post Communist Central Europe”, (in Polish) Wrocław 2003, “Populism and Media Democracy” (ed. ), Wrocław 2005 (in English), “Creating the Image” (ed., in Polish), Wrocław 2005, “Public Diplomacy” (ed., in Polish), Wrocław 2008, "Soft Power and Polish Public Diplomacy" (in Polish), Warsaw 2013. Further publications see: Publikacje. Member of the Council of Polish – German – Forum 2004-2007. President of the Wroclaw Section of the Polish Society of Political Science December 2001 – June 2004. 2000-2006 Herbert-Quandt–Foundation Vetrauensdozent at the University of Wroclaw. Vice President of the Programming Council of regional section of Polish public service television TVP SA in Wrocław (2004-2008). Member of the editors board of Media Education series of Wydawnictwa Akademickie i Profesjonalne publisher, Warsaw (2006-2010). Member of the Programming Council of "Central European Journal of Communication". EISA member 2018. Head of the International Communication Section of the Polish Society for International Studies (PTSM). 2018/2019 spring term: Monday: 9.30-11.15, room 349. Head of International Communication Section, Polish Society of International Relations (PTSM). Member of the editorial board "Communications, The European Journal of Communication Research" (5-year IMPACT FACTOR: 1.147). Member of the Scientific Board of Poland's Public Relations Professionals Congress. international communication, public diplomacy, comparative media systems analysis, political communication.